Hitachi India Pvt. Ltd. (Hitachi India) on 27th April, 2017 announced that Mr. Bharat Kaushal will take charge as the Managing Director of Hitachi India Private Limited. Mr.Bharat also has the honour to be the first Indian to spreadhead Hitachi India’s Operations. He replaces Mr.Kojin Nakakita who has been elevated as the Chairman of Hitachi India Private Limited and Hitachi Asia Limited. This new appointment will take effect on 1st June 2017. Hitachi Indiawas declared the 5th regional headquarter for Hitachi in 2011. Other key management areas outside Japan are China, Southeast Asia, Europe and the Americas. Hitachi Group in Indiaoperates in diverse verticals including information and communication systems, industrial systems like water, oil and gas supply and management, transportation and urban development systems. Hitachi started its business in India in the 1930's. With over 25 business bases and over 10,000 employees in India. Presently, Hitachi Group in India is expanding through using its expertise in 'Social Innovation Business', by providing solutions in the areas including information and communication systems, industrial systems like water, oil and gas supply and management, transportation and urban development systems. Together with further localisation, Hitachi aims to contribute to developing a sustainable society in India as well as contributing to the country's economic growth. For more information about the Hitachi Group in India, please visit the website at www.hitachi.co.in. On 28th April, 2017, Panasonic Corporation announced the appointment of a new employee, Mr.Toru Yamazaki. This appointment will take effect from May 1, 2017 and Mr.Yamazaki will take charge as Advisor, Business Strategy & Planning, Connected Solutions Company, in Panasonic Corporation. Mr.Toru Yamazaki is currently associated as Director with IBM – Japan. 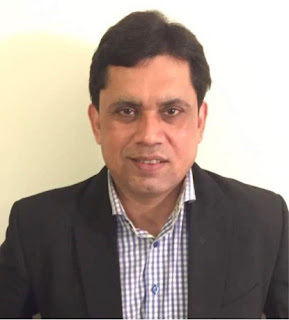 He will Join Panasonic Coroporation on 1st May 2017 as Advisor, Business Strategy & Planning, Connected Solutions Company, in Panasonic Corporation.